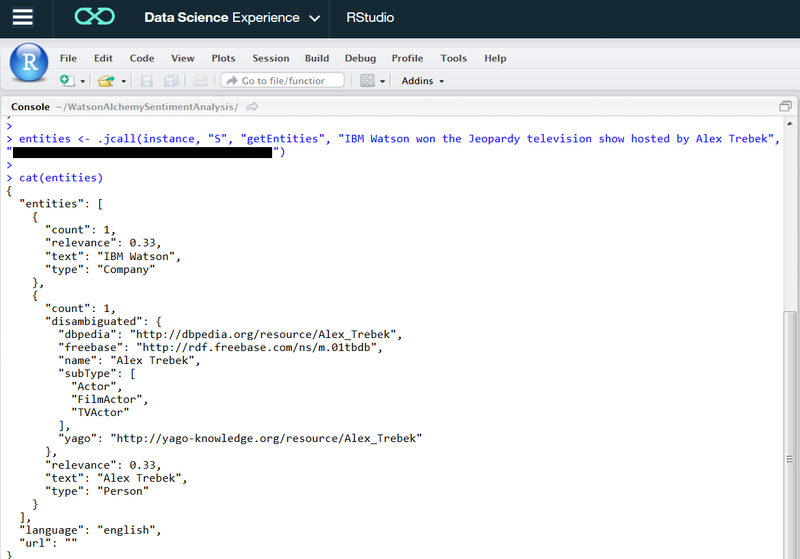 This blog describes - Integrating the "Watson Alchemy API" service in IBM Bluemix with RStudio in IBM Data Science Experience. 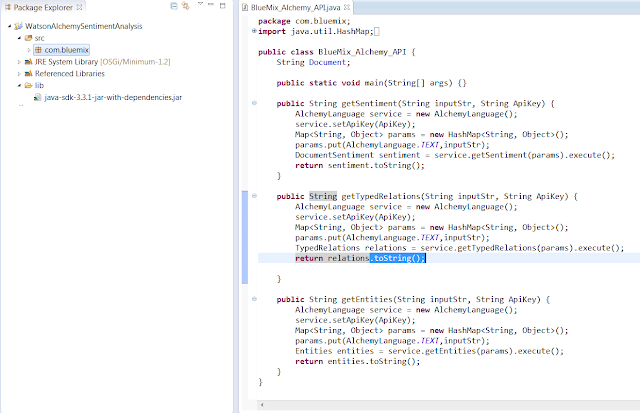 Here, we use different NLP API's provided by Alchemy API from R Studio in IBM Data Science Experience. 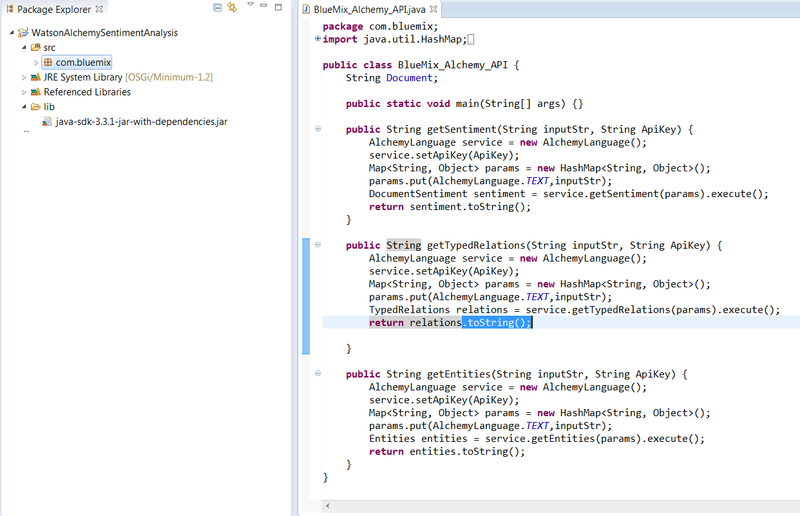 We use the rJava library to get sentiment, entities, relation etc on unstructured data. Login to https://console.ng.bluemix.net/ and create an account then create a Alchemy Service. Get the apikey from service credentials as below. Generate the java jar for the java code. 3) Setup the "IBM Data Science Experience"
Login to http://datascience.ibm.com and create an account. Create a folder and set it as working directory. Upload the java jar & java-sdk-3.3.1-jar-with-dependencies.jar to the working directory.